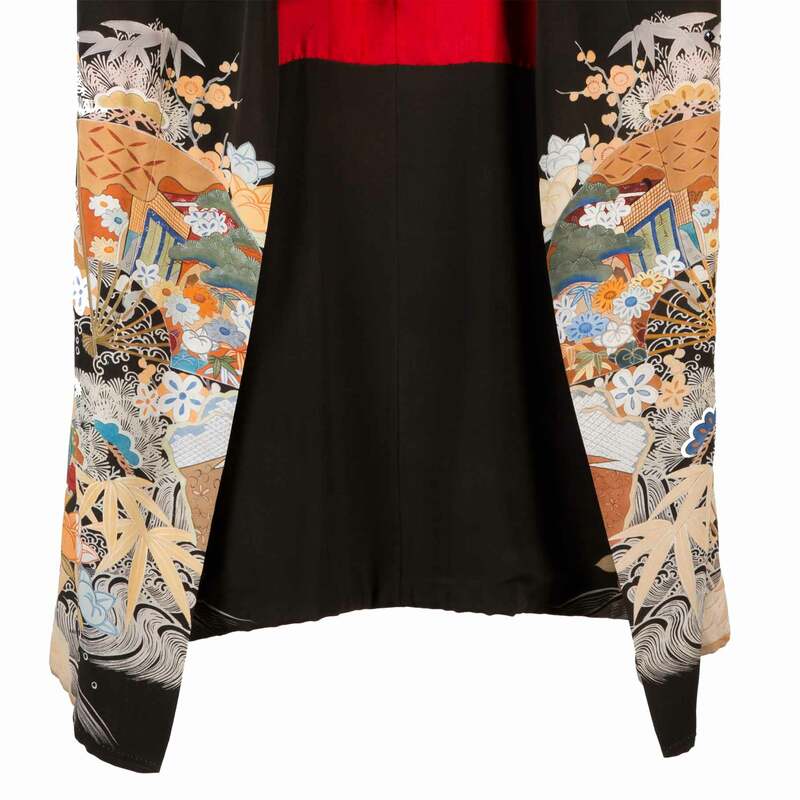 This kimono was acquired in Japan by a Jewish family saved by Chiune Sugihara, the Japanese Consul in Lithuania, who issued transit visas to Jews fleeing Nazi-occupied Poland. As Nazi persecution of Jews intensified, many sought to flee Germany for refuge in foreign countries. Simultaneously, a severe worldwide depression reinforced a mistrust of foreigners, especially dispossessed refugees who might compete for jobs or further burden already beleaguered social services. Restrictive quotas and elaborate entry visa processes created a significant obstacle to immigration, making it nearly impossible for German and Austrian Jews to leave Nazi-occupied Europe. 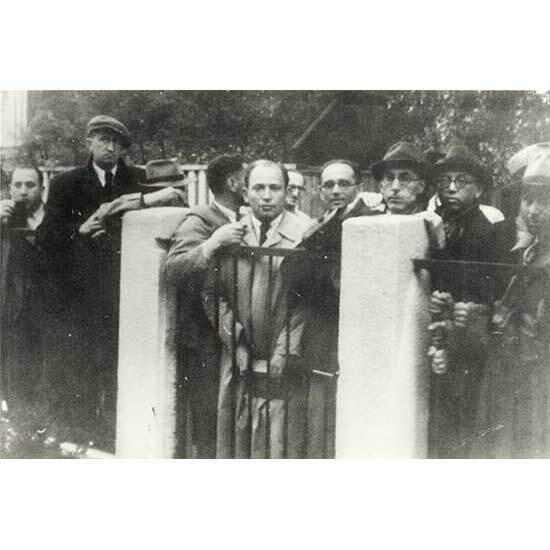 With the start of the war in September 1939, the crisis deepened, as growing numbers of Jews throughout Europe found themselves under Nazi occupation. A remarkable story concerns the efforts of Chiune Sugihara, a Japanese Consul in Kovno, Lithuania, to save Jews, most of whom had fled from Nazi-occupied Poland. 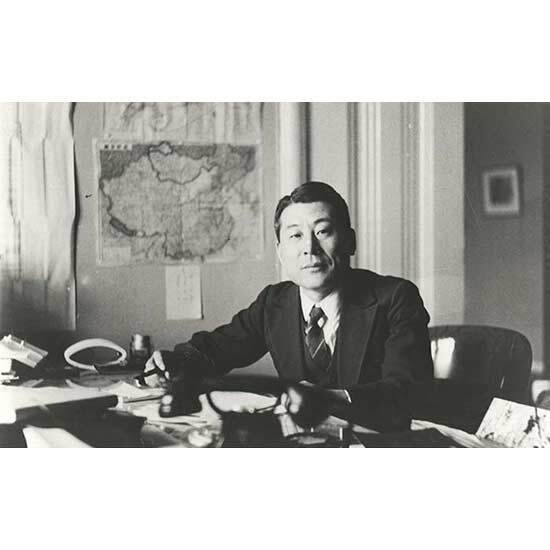 Without the permission of his government, Sugihara issued more than 2,000 Japanese transit visas to these refugees, enabling them to escape Europe. Many spent the war in Shanghai and almost all found permanent homes elsewhere. 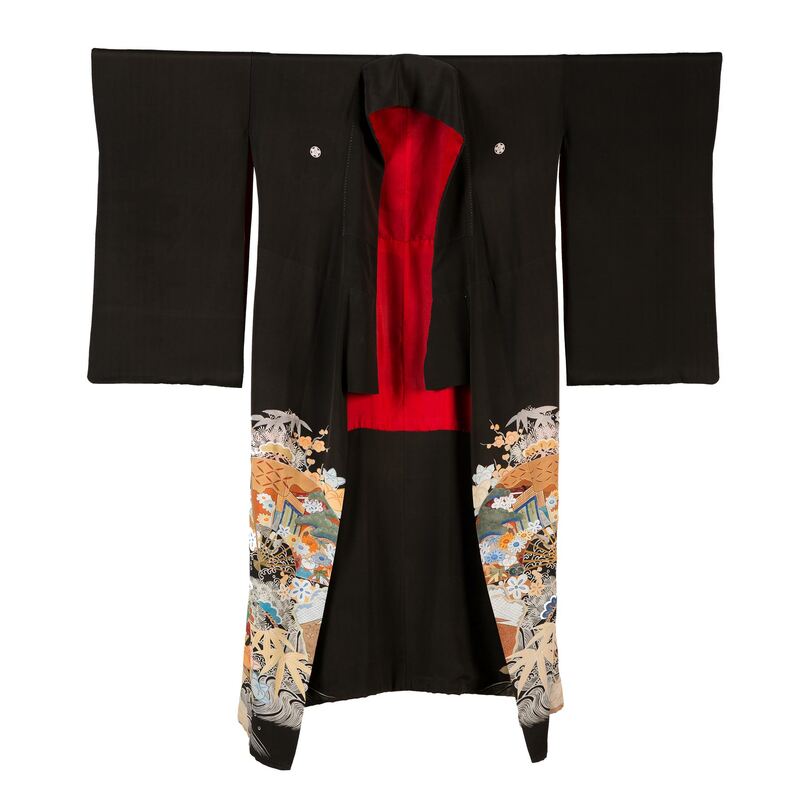 This kimono was acquired in Japan by Rabbi Mordechai Rogow. 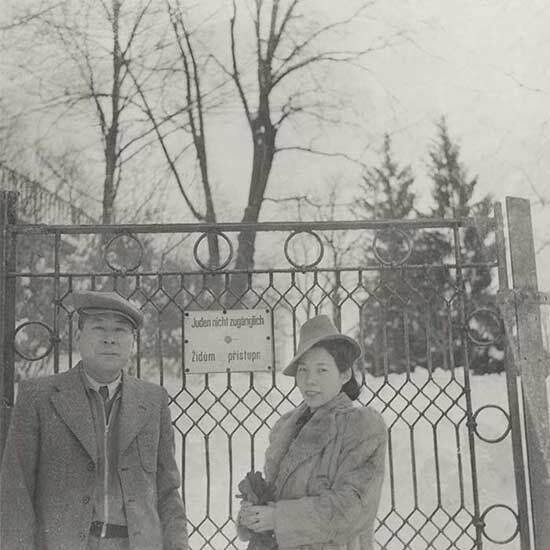 Rogow was a rabbi in Belarus and travelled to Kovno to obtain transit visas for his family from Sugihara. After an initial stop in Kobe, the family spent the war in Shanghai and eventually settled in Chicago, where Rabbi Rogow was given a position at the Hebrew Theological College. Outside the gates of the Japenese Consular Office, Kaunus (Kovno), Lithuania, July 1940. 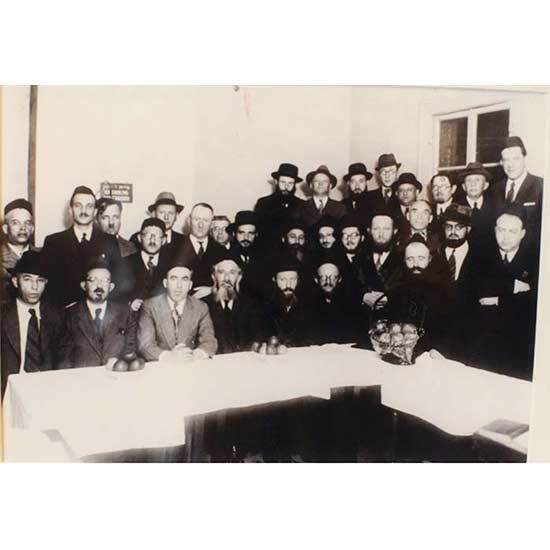 Kobe, Japan with the Mir Yeshiva, a renowned center of Talmudic study whose students and rabbis obtained visas from Sugihara to leave Europe. The school would eventually re-establish itself in New York. Sugihara’s efforts saved countless Jewish families. Printed in German and Lithuanian, the sign behind reads "Jews not allowed." Dimensions: 56 x 48 in.